Tehran was accused of monkey business this week when Iranian officials mistakenly released the wrong photo of their first simian space traveler. Iranian space agency official Mohammad Ebrahimi yesterday told The Associated Press in Tehran one of two official packages of photos of Iran's first space monkey depicted the wrong creature, but a primate really did fly into space and return safely to Earth. The two different monkeys shown in the photos released by Iran's state media caused some international observers to wonder whether the monkey had died in space or that the launch didn't go well. One set of pictures showed a relatively dark-haired monkey. Another showed a different monkey — strapped in a pod — that had light gray hair and a distinctive red mole over its right eye. 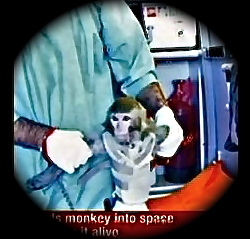 Ebrahimi said the monkey who traveled in space was named "Pishgam," the Farsi word for pioneer. Initially, the Iranian media said "Pishgam" was the rocket that took him on a 20-minute journey into space last Monday. Ebrahimi said one set of pictures showed an archive photo of one of the alternate monkeys. He said three to five monkeys are simultaneously tested for such a flight and two or three are chosen for the launch. Finally, the one that is best suited for the mission and isn't stressed is chosen for the voyage. Satellite technology expert Pat Norris told BBC News Iran's claim to have sent a monkey into space was not a major advance on what its space program had already achieved. The achievement was similar to launching a missile at 3,000mph and having its warhead survive the flight -- something Iran had done in several tests in recent years, he noted. However, survival of the monkey, without incurring any injuries, would demonstrate that the acceleration and deceleration of the rocket were not too severe, Norris added. President Mahmoud Ahmadinejad announced in 2010 the country planned to send a man into space by 2019. 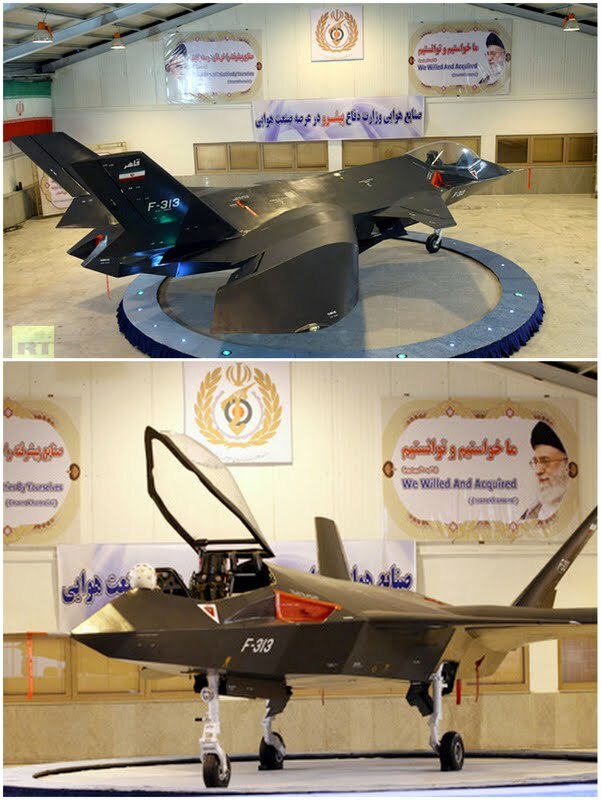 In related news, Ahmadinejad yesterday unveiled in a hangar in Tehran a homemade “stealth” fighter-bomber jet reportedly capable of engaging targets on the ground, as well as achieving air superiority in dogfights. Codenamed Qaher-313 (“Conqueror”), the jet is an advanced single-seat single-engine warplane, RT (Russia Today) reports. 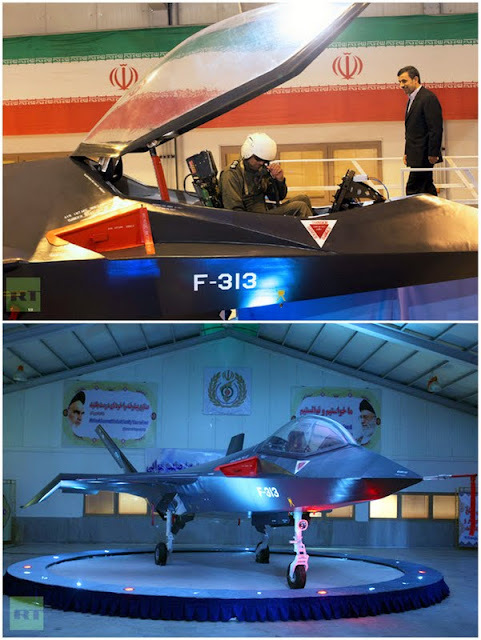 According to photos published by Iran’s Fars news agency, the jet boasts impressive technical specifications, with a stealth design similar to the American F-22 and Russian T-50. The large wingspan and inclined outward tail fins resembles the F-35, as well as the unusual-looking wings and modern seamless canopy. The jet may have been constructed using composite materials. Iranian engineers claim the Qaher is capable of short takeoffs and landings, and can be repaired easily. Video of the jet suggests it is already undergoing flight tests, and Iranian pilots have reportedly said they are fully satisfied with its performance. Iranian Defense Minister Ahmad Vahidi said the Qaher is a “fully indigenous” aircraft, designed and constructed solely by Iranian aerospace experts. "This advanced fighter jet with unique characteristics has a very low radar cross-section and therefore is capable of operating at low altitudes," Vahidi told Mehr. Unveiling of the fighter jet coincided with Iran's “Ten-Day Dawn” celebrations marking the 39th anniversary of the end of the 1979 Islamic Revolution. Ahmadinejad’s opposite number and ally, Bashar al-Assad, told an Iranian official today, Sunday, that Israel was trying to “destabilize” Syria by attacking a military research center near Damascus last Wednesday. Syrian TV has shown images of the raid Damascus says Israeli jets carried out on a scientific research centre in Jaramana, northeast of Damascus, killing two and wounding five. 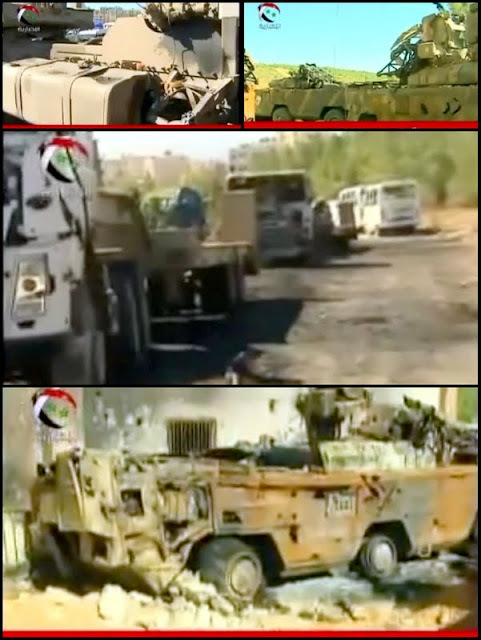 U.S. officials say lorries carrying weapons bound for Lebanon were the targets.